Life is good for recent College graduates as they enjoy the best job market in years. According to CNN Money, this year’s graduates are being offered more jobs and fatter paychecks. After securing the first post college job most grads are ready and quite honestly in need of a new car. While attending college, most students don’t have the opportunity to build a credit history. So, to help jumpstart the transition from college life to the real world Honda Financial Services established the The Honda Graduate Programs making it easier to qualify for financing as well as requiring a smaller down payment. “In this economy unexpected things happen to good people, with temporary job loss or just circumstances beyond their control”. Patty Peck Honda has taken action and wants to work for YOU. If you are tired of turn downs, non-approval letters, or have good credit and simply want GREAT credit, then continue to read on your help is on the way. Why should I trade my leased vehicle in rather than turn it in? This is a question we get from many of our customers. 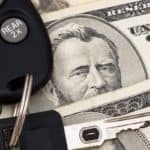 A lease is based on a residual value which is basically what the leasing company is guessing that the vehicle will be worth in a certain amount of time and miles. In most cases with Honda’s, since they hold their value so well, the vehcile is worth more than the residual value towards the end of the lease. A lease has a payoff just like a conventional purchase if the lease is not termed out, meaning driven to the end of the lease contract. We have seen many instances where the vehicle is worth up to $1000.00 more than the payoff a couple of months before the lease is ending. Post-college life has more perks than you might expect. No more midterms, no more finals, no more worrying about your GPA, and a great deal from Honda Financial Services at Patty Peck Honda. Have you met our Patty Peck Honda Girl? Lela Henry works with Patty Peck Honda around the community and promotes the dealership’s events, specials and more. She has been the Patty Peck Honda Girl for 8 months and contributes a great deal to the community.